“SOS! SOS! SOS! SOS! OUR INDIGENOUS FAMILIES ARE BEING EXTERMINATED! MASSACRED RIGHT NOW! THE COLOMBIAN GOVERNMENT HAS SENT IN THE ARMY AND IS MURDERING THE MINGA COMMUNITY! SOS!!!!!!!!!!!!!!! We make an URGENT CALL TO THE COLOMBIAN GOVERNMENT IN THE HEAD OF PRESIDENT IVAN DUQUE MÁRQUEZ, and to national and international agencies that defend human rights in order to Sue in first instance the protection of the life and integrity of indigenous, peasant and sectors communities People who participate in minga for the defense of life, territory, democracy, justice and peace. Being 12:30 p.m. on April 03, 2019, the indigenous and peasants who were concentrated in the Emmanuel Estate of the town of morales – cauca, were violently attacked with firearms by troops of the National Army, Finding yourself trapped in the territory because of the shots. The public force came to the place, burning the tents and belongings of the community, also entered the neighboring houses of the point of concentration to attack the inhabitants, in the midst of the facts, is seriously injured the governor of the indigenous cabildo of cerro Scissors Rubén Cuetia and some minors, at the moment there is no additional information of the number of injuries and the state of health of them. We make a call to dd defenders. HH. National and international, the high commissioner for DD. HH. From the un, to the inter-American commission of DD. HH., to the un verification mission, to the mission of supporting the peace process in Colombia of the oas, to the National Commission of DD. HH. From The Senate of the Republic, to the office of the ombudsman and to the attorney general of the nation, so that, within the framework of its functions and competences, accompany the communities and families affected by this fact. Thank you for all who have stood up to the corporate hegemony and the U.S. oligarchy, NATO, War and their evil plans for the people of Venezuela. Remember it is always the children and the women that suffer most. 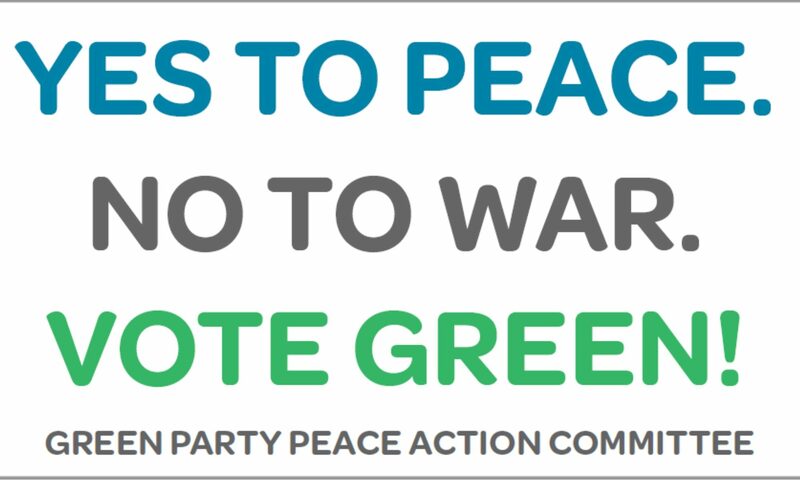 Wage Peace At Wars Pace. In the following statement for Truthdig, Rapone explains his political beliefs. I am a combat veteran with the First Ranger Battalion, a recent graduate of West Point and a former second lieutenant who was stationed at Fort Drum, N.Y. Since identifying myself as a socialist, there has been much controversy generated by a number of my public statements. It began with my post on social media, in which I expressed my full and enthusiastic support of former 49ers quarterback Colin Kaepernick in his fight against racial injustice, white supremacy and police brutality. After revealing a picture of myself in uniform with the hashtag #VeteransForKaepernick, I was met by solidarity from my fellow soldiers, as well as harsh blowback from my chain of command. To this day, I stand by my convictions, despite the efforts of ranking officers to pressure me into silence. I believe that standing up for the exploited and the oppressed is the most honorable thing we can do as people. No job should hinder or repress this pursuit, which is why I decided to resign my commission as an officer in the United States Army. My conditional resignation was denied by the secretary of the Army. Instead, the military forced me into either submitting an unconditional resignation or appearing before a board of inquiry—an adversarial trial in which a jury of senior officers would determine my fate. Rather than submit to the antics of what amounts to a show trial at best, I tendered my unconditional resignation. Passing judgment on me one last time, the military determined the character of my service to be “other than honorable.” Despite the brass prolonging my time in service, I have come to the conclusion that leaving the military altogether, whatever the circumstances, is the only moral way forward. During this ordeal, I have learned that I am far from alone in my feelings of disillusionment and betrayal within the rank and file of the U.S. military. As a teenager, I believed the United States military was a force of good for the world. I thought that I signed up to fight for freedom and democracy, to protect my loved ones and my country from harm. My experiences showed me otherwise. After bearing witness to the senseless destruction in Afghanistan during my combat deployment to Khost Province in the summer of 2011, I knew that our wars must be stopped. I was assigned to my platoon as an assistant machine-gunner. I took part in missions where human beings were killed, captured and terrorized. However, the horror wrought by the U.S. military’s overseas ventures is not limited to combat engagements alone. Some nights, we barely did anything at all but walk through a village. As such, the longer I was there, the more it became apparent that the mere presence of an occupying force was a form of violence. My actions overseas did not help or protect anybody. I felt like I was little more than a bully, surrounded by the most well-armed and technologically advanced military in history, in one of the poorest countries in the world. I saw many of my fellow soldiers all too eager to carry out violence for the sake of violence. There is no honor in such bloodlust; quite the contrary. I saw firsthand how U.S. foreign policy sought to carry out the subjugation of poor, brown people in order to steal natural resources, expand American hegemony and extinguish the self-determination of any group that dare oppose the empire. Idealistic and without a coherent worldview yet, I thought that perhaps pursuing an officer’s commission would allow me to change things and help put a stop to the madness. I was wrong. It soon dawned on me how pervasive the military-industrial complex is. I studied, examined my own experiences and began to grasp more completely the horrors and impact of U.S. imperialism. Learning that over a million people have lost their lives since 9/11—the vast majority being innocent civilians—began to haunt me. Seeing that up to a trillion dollars a year were being diverted from education, health care and infrastructure in the U.S. to support our 800 military bases around the world began to feel increasingly maddening. Within the Army itself, one out of three women are sexually assaulted. The death of football player and later soldier Pat Tillman by friendly fire was covered up to sell a war. Generals responsible for war crimes—from the unbridled destruction of Afghan and Iraqi villages to the construction of torture prisons—are rewarded with accolades and political power. These sad and dishonorable truths increasingly grew impossible to ignore. The military was not the noble and selfless institution the commercials and Hollywood movies made it out to be—far from it. At West Point, I soon found myself at odds with my future role as someone tasked with the responsibility of leading soldiers into battle. However, leaving West Point after my junior year would have meant returning to the enlisted ranks or finding a way to come up with a quarter-million dollars to pay the academy back. So I stuck it out, hoping I would find a way to reconcile this contradiction. Again, I was wrong. Upon returning to Fort Benning, Ga., to begin my training as an infantry officer following graduation, I was filled with dread. It was like I was in a place simultaneously familiar and unknown. There were things I noticed that my 18-year-old self could not have recognized before. Most strikingly, I observed the scope of the brainwashing within the ranks, from bald, buzz-cut, mostly teenage infantrymen fresh out of training, to college graduates eager to lead those naïve soldiers into America’s next war. I felt witness to a collective delusion—one that I was once a part of, but had somehow miraculously escaped. After nearly a year there, as I prepared to move to my new duty station at Fort Drum, one thing became clear: I cannot be a part of this any longer. I cannot kill or die for the U.S. military—no one should. I know that I am not alone in feeling this way. My feelings and experiences are not an anomaly. I know, because I have had conversations with others who have expressed the same sentiments. You are out there, and should you take the same steps that I have, I am with you. While the prospect is daunting, united together we have far more power than all of the generals and politicians combined. We possess the ability to grind this entire military machine to a halt. It is high time we live up to the trust and respect bestowed upon us by the people. Let our mutual love of humanity and our desire for liberation and peace be our guiding principles. Most importantly, let us find common cause with the people of Afghanistan, Iraq, Palestine, Yemen, Syria, Libya and so many others who have suffered at the behest of the United States. To those soldiers who I’ve heard from, and to those I haven’t yet, I hope that you too find the courage to lay your weapons down with me, and refuse your orders to kill and die for the benefit of a handful of ruling-class elites at the great expense of the rest of us. Freedom lies on the other side. Together, let us fight to put a stop to these endless trillion-dollar wars, and let us join our brothers and sisters around the world in putting a stop to all forms of exploitation, oppression and senseless violence.